We’re coming to the end of February and are now just two weeks away from our first production of the year. The Witches of Warboys is in conjunction with the Mayor of Huntingdons charities as last years court reenactment was and has been selling wonderfully. HYT have nearly sold our allocation of tickets with only a few available for Thursday and Saturday as of the time of writing. We have already sold out for Friday. Please make sure you do not miss out on this theatrical performance by getting your tickets as soon as possible as it is looking like we will again be selling out due to the restricted space the court rooms allow us to fit in attendance. 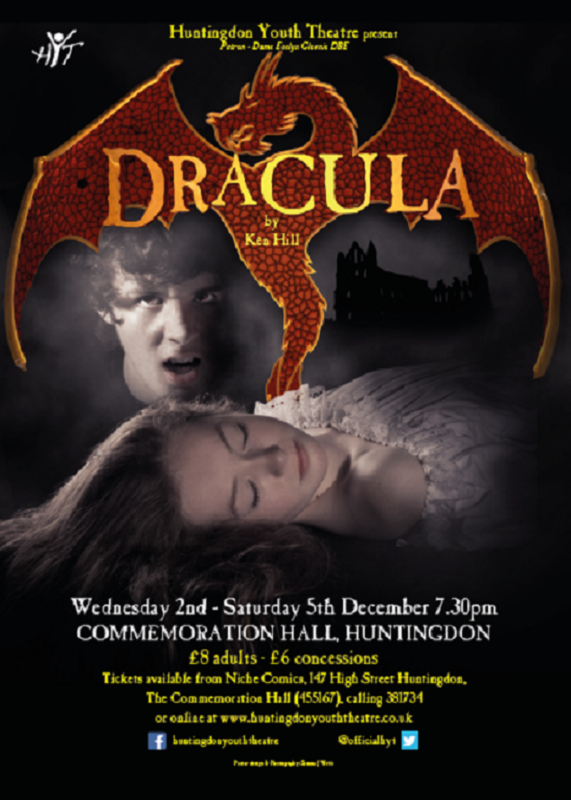 To get your tickets please contact Marilyn at the Huntingdon Town Hall by calling 01480 411883 or by going in direct. She will help you out and we’ll see you in court on the 12th, 13th or 14th of March!